If Nebbiolo is Piedmonte's star red varietal, then Barbera surely comes a very close second. Enzos entry cuvee Barbera is a symphony of candied raspberry and bramble fruit, crème de cassis and lifted pink petal aromas. The weight here is delicate, but the fruit impact on the palate is plush and pure, with such ripeness and direction. 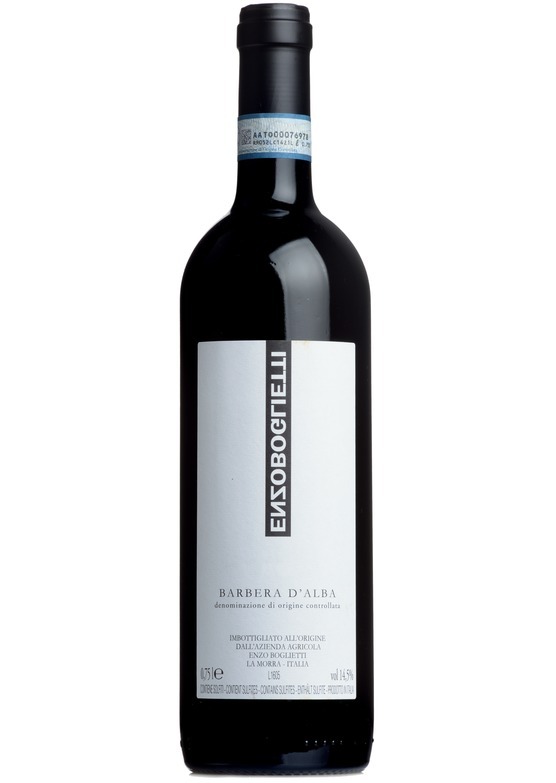 There is a structured, earthy core to this Barbera whilst a veil of freshness and fine tannin complete this modern, bold and expressive wine. This red variety is one of Italy's most planted, but, sadly, falls under many people's radar. Its home is in the north Italian region of Piedmont, in particular the vineyards surrounding the villages of Asti and Alba. Producers enjoy the vigour of the variety and its resultant high yields, even in years when weather conditions are testing. This volume, however, does not make it a variety that produces wine without character. Traditionally the wines are easy drinking with a ripe, smokey, cherry and autumnal berry aroma and fresh acidity on the palate, but of late we have seen an influx of far more serious wines. Full bodied, dense and ageworthy Barbera is not uncommon these days. Few varieties produce a wine more suited to simple grilled meats, barbecues and dishes with rich Italian tomato sauces.